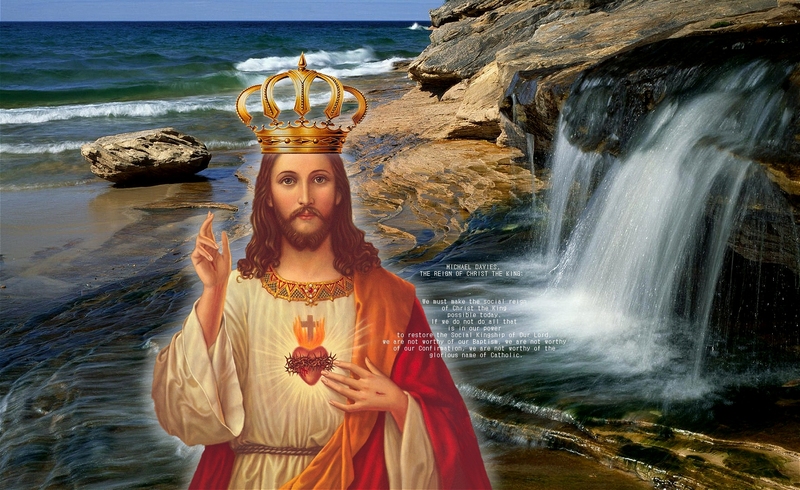 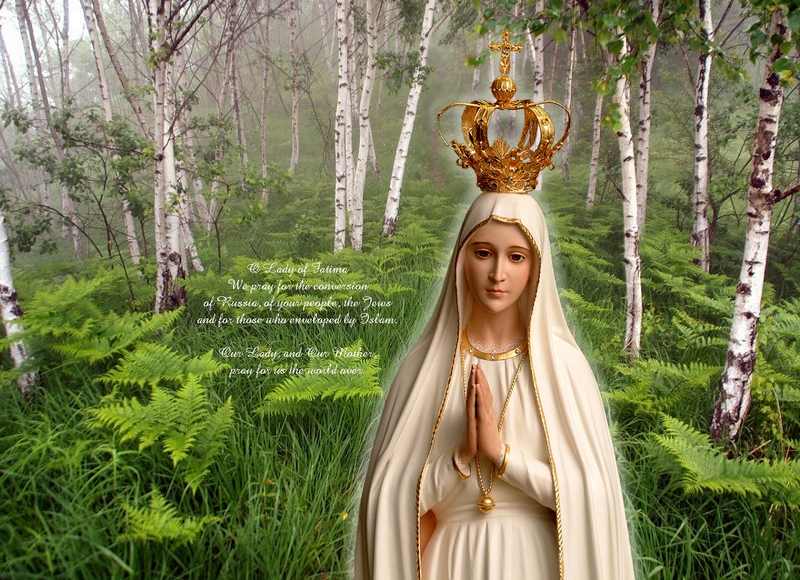 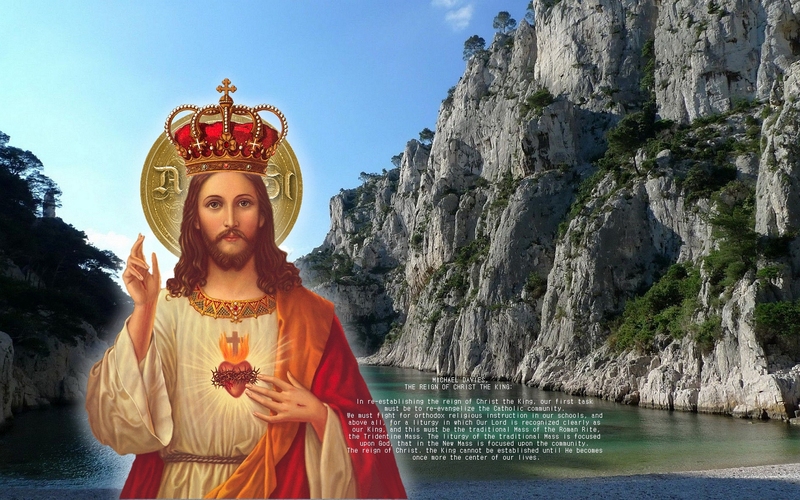 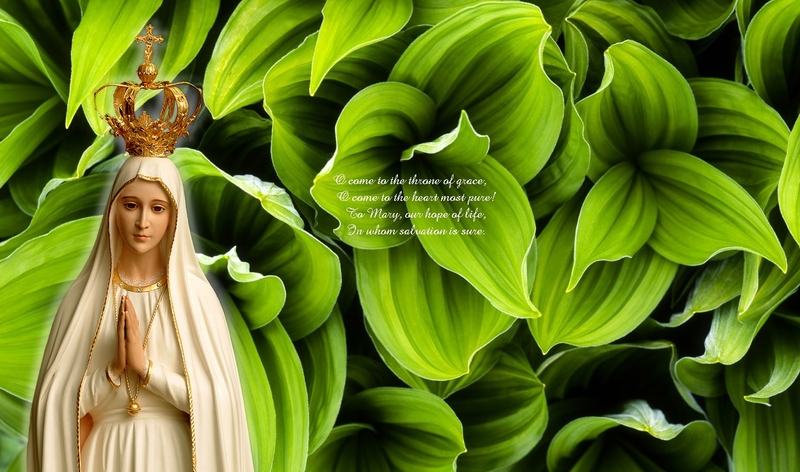 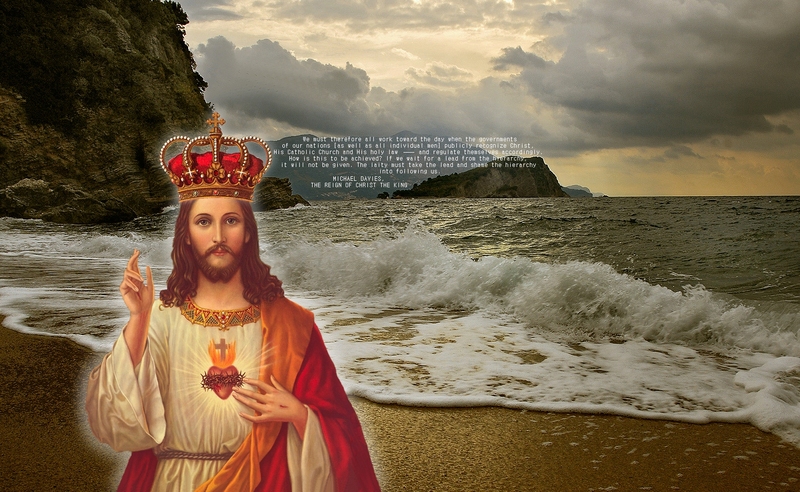 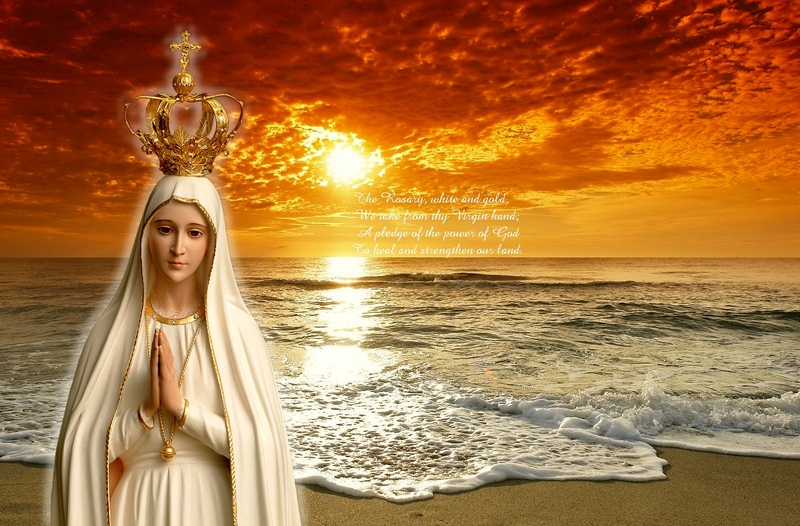 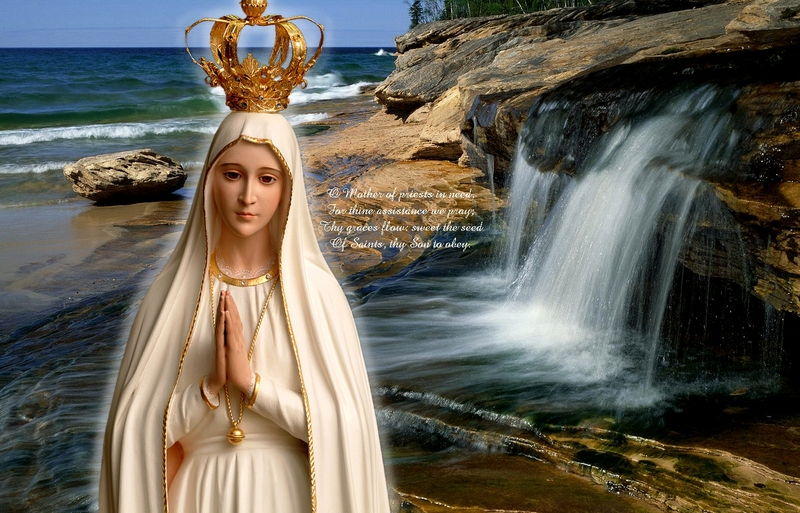 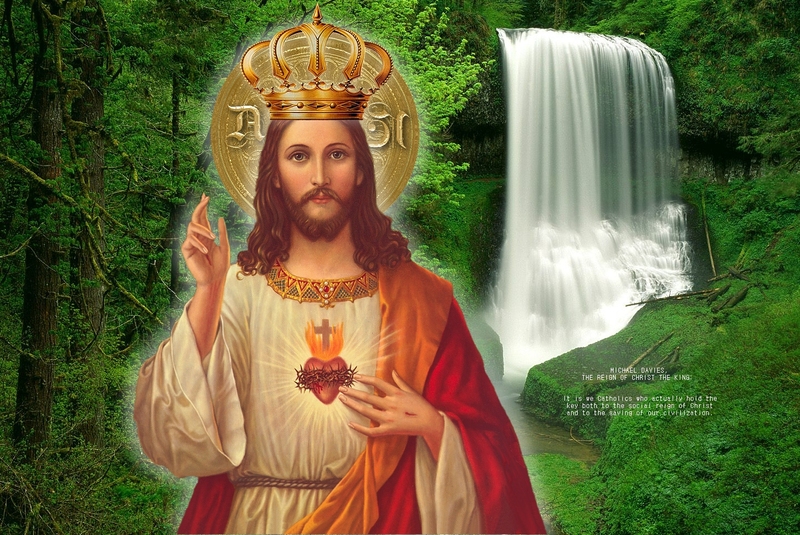 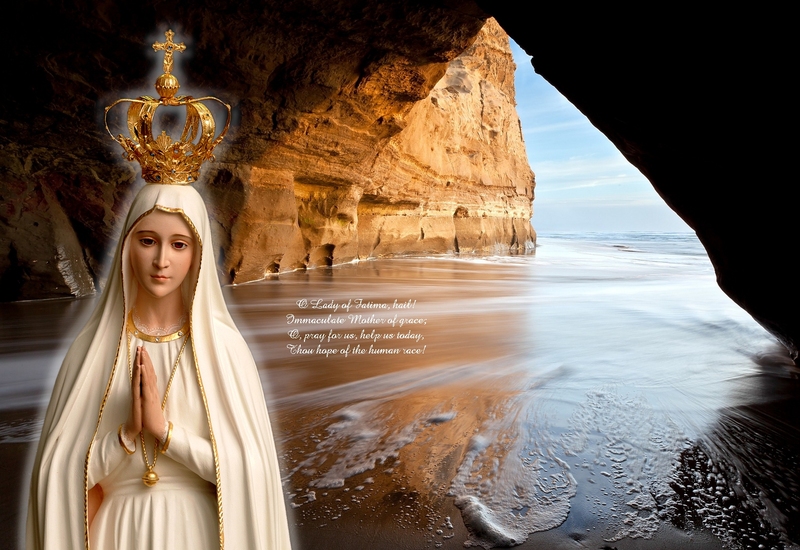 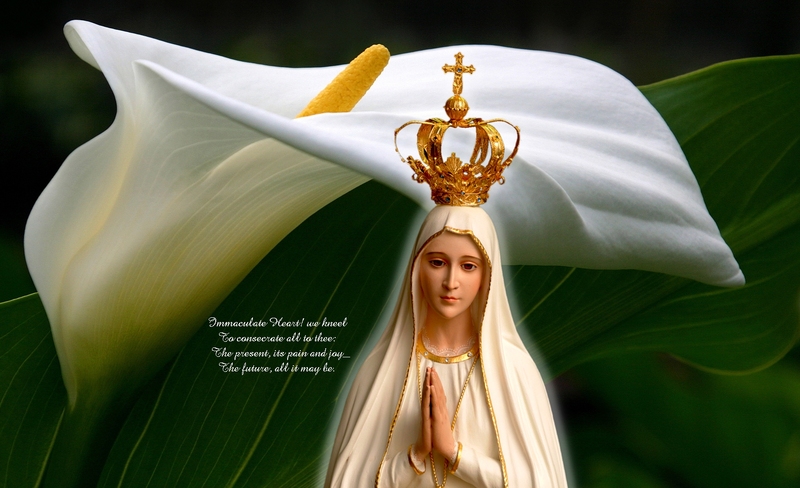 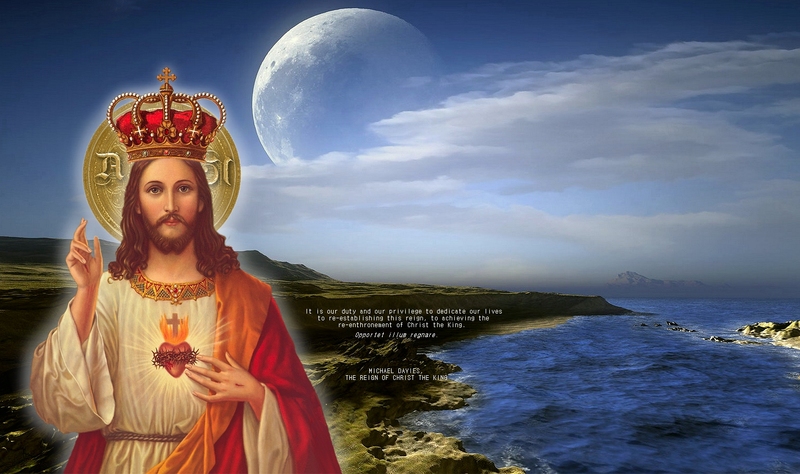 There are 16 scenic images in all, 8 each of Christ Our King and Our Lady of Fatima. 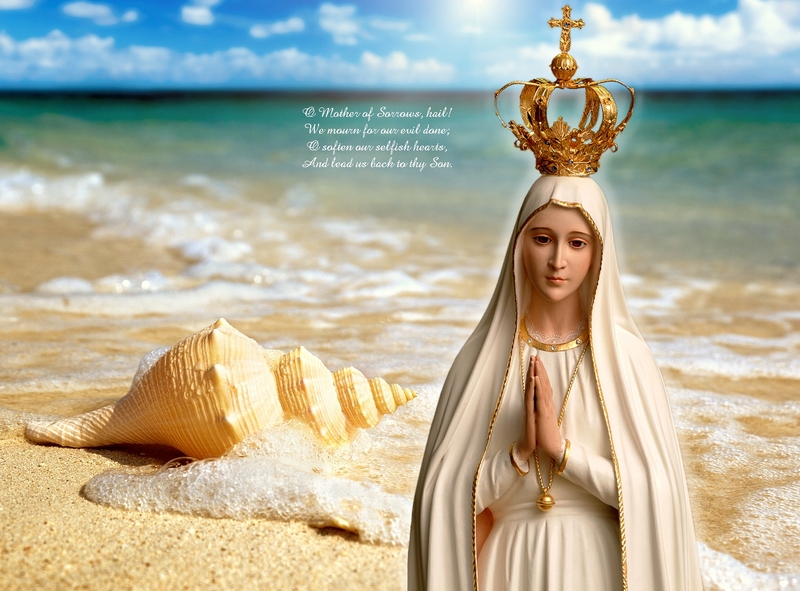 Seven of each group have text; the 8th image for both Our Lord and Our Lady are plain. 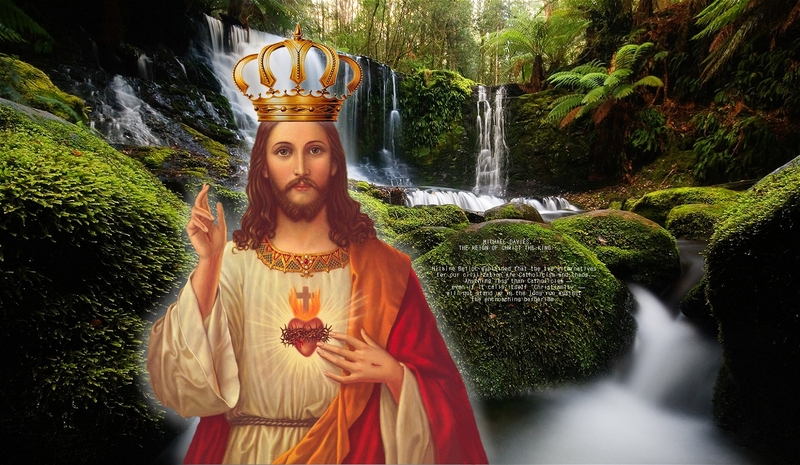 Just click on the thumbnail to view, then download an image for your desktop. 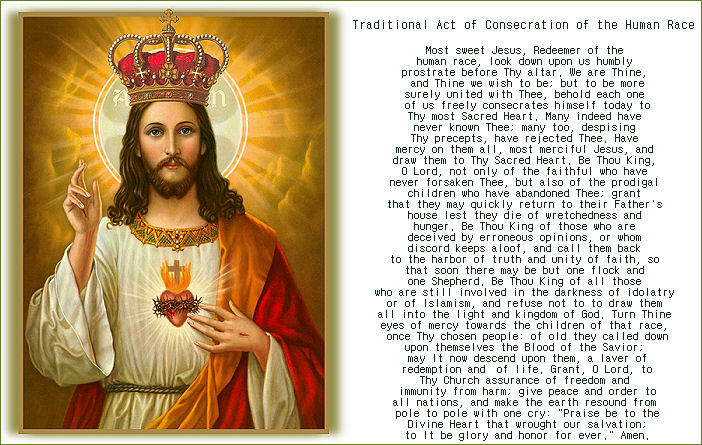 Below the tumbnails is a printable image, The politically incorrect version [Traditional] of the Act of Consecration to the Human Race to Jesus the Redeemer. 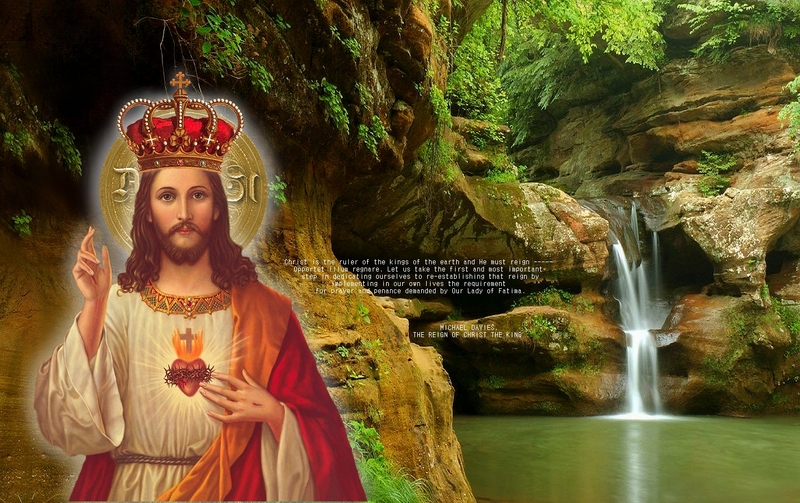 then hit print the button at the top of the browser bar; it is designed to fit a standard size page horizontal-wise.